You could say Megan Weber is the kind of person who always takes the long shot; where others see problems, she sees potential. LAKEWOOD, Colo. — You could say Megan Weber is the kind of person who always takes the long shot; where others see problems, she sees potential. "She always comes through for us," said Steaphnie Baigent, behavior program manager at Foothills Animal Hospital. It's that "root for the little guy" attitude that ignited Weber's idea for a non-profit three years ago. "We seek to help the true underdogs," Weber said. Appropriately coined Underdog Animal Rescue, Weber and her team of volunteers rescue and re-home dogs shelters can't — the true misfits of the dog world. 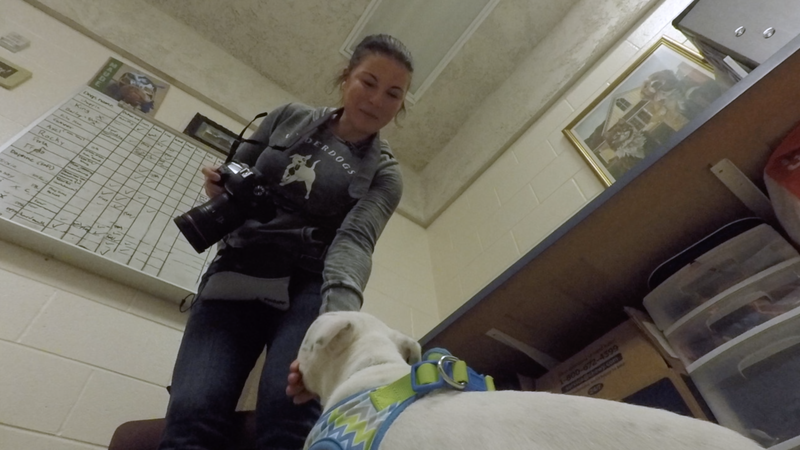 "Underdogs comes in and will take the dogs that just aren't successful in the shelter environment," Baigent said. "Oftentimes they're just really fearful and they don't know where they are and they need that loving home environment to help them through their journey." Today, the team has rescued and re-homed 440 dogs, finding them training, foster homes and giving them a second chance. "Our impact may be small, [but] we're able to see a true impact with each adoption that occurs," Weber said. "Just to see them start from somewhere you know that they didn't have the best option or the best life and now they're just, like, flourishing in a foster home, is amazing," Baigent said. The work tests Weber's patience and heart, but together, they're showing sometimes the long shot really is the most rewarding one to take. "It is incredibly hard work but when you get that dog into the perfect fit home, you see how much that home loves the dog and how happy the dog is in that situation. That makes all of the hard work worth it. So that is what keeps us going," Weber said. If you would like to donate to Underdogs Animal Rescue, visit their website: https://underdogsrescue.org/.